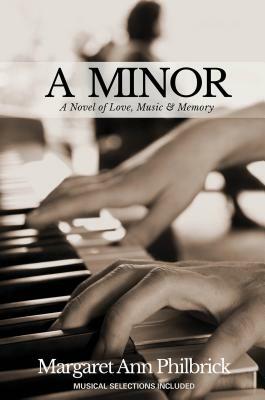 Clive Serkin, a teenage piano prodigy, seeks victory at the Tchaikovsky Piano Competition in Moscow, and enlists the help of world-renowned pianist Clare Cardiff. She becomes his mentor and teacher, and even though she is more than twice his age, Clive finds himself falling in love with her. After Clare is diagnosed with early-onset dementia, Clare's estranged husband, Nero, takes her away from Clive to pursue further medical testing. Clive is faced with the challenge of traveling to Moscow and performing at the competition without his beloved mentor. Ultimately, he must discover if the music they share is enough to keep them together. Margaret Philbrick is an author, gardener and teacher who desires to plant seeds in hearts. Margaret has a B.A. in English Literature from Trinity University in San Antonio Tx.and a Masters in Teaching from National Louis University. She teaches writing and literature to children and teens at The Greenhouse School and H.S.U., both of which provide supplemental classical education to the home-school community. She is actively involved in the fulfillment of God s vision at Church of the Resurrection and the Redbud Writers Guild where she serves on the board of both organizations. Her first book, Back to the Manger, is a holiday gift book she created with her mother, an oil painter. You can find Margaret in her garden digging in the dirt or writing poetry and you can connect with her on-line via her website at: www.margaretphilbrick.com."